The Ministry of Home Affairs considers VVIP security by paramilitary personnel a wastage of resources. Besides, in the case of some politicians, the threat perception has changed. While Amar Singh's cover will be removed as a result, deputy chief minister Keshav Prasad Maurya will continue to be protected by the local police. MHA has already removed CRPF from routine duties in Jammu and Kashmir like their deployment in courts, hospitals etc. Also, security cover of Hurriyat Conference leaders has been striped off. Now the MHA has withdrawn the security of Uttar Pradesh deputy chief minister Keshav Prasad Maurya. The security given by CRPF personnel was withdrawn on March 3. Now, the local police, as per protocol, is offering Maurya a security cover. The VIP security unit of the MHA may soon announce the list of people whose security will be withdrawn. 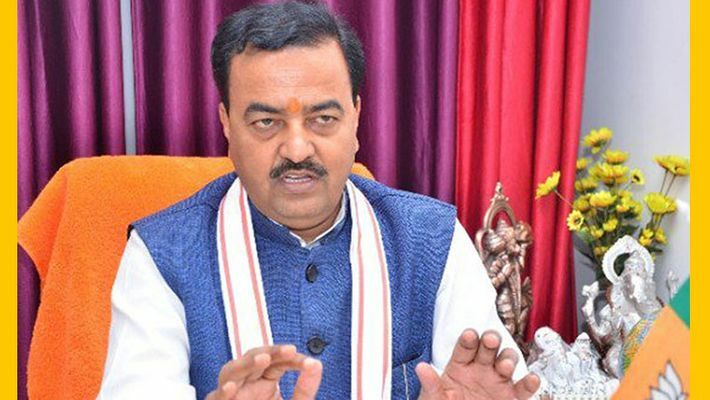 “The matter regarding security of Keshav Prasad Maurya, Dy CM UP, has been reviewed in consultation with central security agencies, it has been decided to withdraw Y+ CRPF cover provided to Keshav Prasad Maurya. CRPF is required to take necessary action,” an official communication said. Interestingly, the MHA has asked the agencies concerned to assess the security cover of other VVIPs who are enjoying security covers, occupying security forces personnel. “MLA from Uttar Pradesh who is getting security from CISF ― Amar Singh, etc ― may not have security cover as there is a change in the threat perception of these dignitaries,” a source in the MHA said. A meeting has been held last month where the decision on withdrawing paramilitary forces from certain areas were discussed. “There is direction from home minister Rajnath Singh that the security forces should be deployed more in sensitive places and that the trained staff should not get wasted in securing VVIPs facing no threat. A fresh assessment is scheduled in August. It is expected that the security cover of 12 persons will be withdrawn after the assessment,” a source said. The MHA after Pulwama attack issued a list of Hurriyat leaders whose security cover was withdrawn. Hurriyat's Mirwaiz Umar Farooq, Fazal Haq Qureshi and Abdul Ghani Bhat, Bilal Lone of People's Conference, Hashim Qureshi of Jammu Kashmir Liberation Front and Shabir Shah of Jammu and Kashmir Democratic Freedom Party were among those whose security cover was removed.